Your greatest asset is your ability to earn an income. What would happen to you if you were unable to work and couldn’t earn an income. How would your family survive without your income coming in? It can be a pretty distressing time if you have had a major trauma or accident and dealing with the health side of things as well as then having to worry about money. What if you didn’t have enough money to get the treatment you needed to get better? We all like to think we are invincible and yes well most of us are very lucky with our health. However would you want to be in the say 15% who suffer a trauma and are unable to get back to work and not be covered. Or would you want to be in the 5% who can never work again and then life becomes a misery with no money or ability to earn any money. You might think it won’t happen to you, but what if it does? Income protection insurance is a way of mitigating these risks. It will provide you with a monthly income to cover your income in the event you are unable to work. You are only paid 75% of your income so you are motivated to go back to work. I imagine though that 75% of your income is greater than what the disability pension would pay you when you were eventually eligible. This cover generally comes into place when you have used up your other benefits, for example sick leave or workers compensation. You are able to hold your income protection through your super fund which can aid in cashflow for affording the premiums. The premiums are a tax deduction to you so that does always help if you held the cover personally. There are many different options for this cover in the market place you just have to be sure the one you are looking at suits you and your family’s needs. An accident only policy might not provide enough protection however it does have very competitive premiums. The older you are the more expensive the premiums are also so you have to take that into account. If you are young, have a young family and debts you can’t jump over then income protection is vitally important for your family’s security. You might not agree with me, but just remember your ability to earn income is your greatest asset so you need to protect that one way or the other. 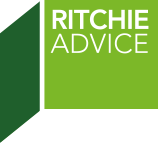 If you want to discuss your requirements or require assistance accessing this style of insurance the staff at Ritchie Advice would be more than happy to help so always feel free to give our office a call on 6234 1488.